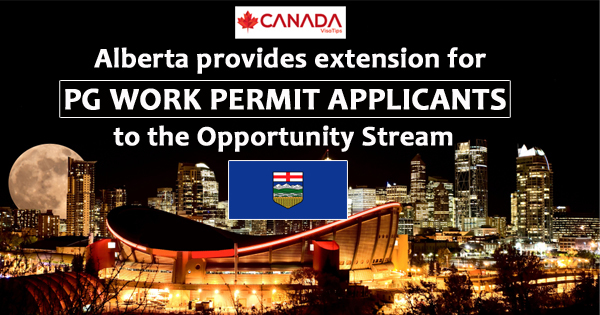 The Alberta Government has extended the transition period for all applicants to the Alberta Opportunity Stream. The persons holding a PG Work Permit will benefit from it. The Program says that extending this will give post-secondary institutions and the applicants sufficient time for adjusting to the Opportunity Stream's List of Advanced Education Approved Post-Secondary Credentials. This list will also determine the programs having credentials at provincial institutions, getting an approval for applicants of Provincial Opportunity Stream, who have a PG Work Permit. As per the Program the purpose of the list is helping the international students to find out if their education as well as work experience matches well with the present skill shortages in the province. In this period of transition , global students getting an admission and enrollment prior to the date of April 1st , 2019, into single-year Entry-Level Certificate Programs, Diploma Programs, and PG Certificate Programs which do not figure in the list, would get a consideration in the provincial Opportunity Stream, till they meet the total set of requirements. Students, getting an admission, after April 1st 2019 is over, or on that date also, into a program, which does not figure on the list, will not have the eligibility to apply in the A.I.N.P. with a PG Work Permit. They can apply for the Opportunity Stream, In case they get a work permit based on LMIA. All the applicants to this Opportunity Stream must also fulfill residency status, as well as language, work permit, work experience and education, in an occupation which is not included in the ineligible occupations list. Moreover they must meet the financial requirements. We bring all the latest details for the benefit of the clients and you can contact us for additional information.